Jax Kansas City is located in the Country Club Plaza. A public parking garage is located directly below the Fontaine Hotel. From Belleview or from Roanoke Pkwy, the ramp for garage access is on your left just north of Ward Parkway. There is also $5.00 valet service available in front of the Fontaine Hotel from Roanoke Parkway. 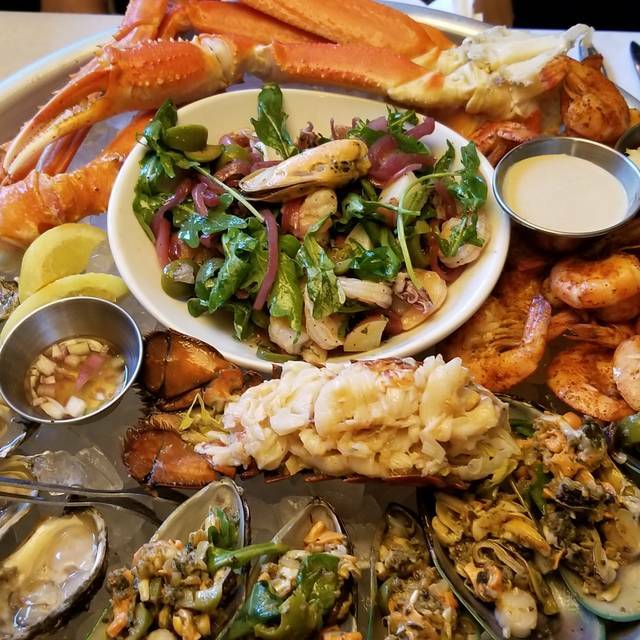 We have unmatched access to the freshest seafood on the planet and the deepest bench of hospitalitarians, shuckers, bartenders, servers and chefs either side of anywhere. Let us come to your next event and throw-down with FRESH and delicious in a way that your guests will never forget. Lots of places can do catering. We create unforgettable experiences! If you’d like for your guests to remember your event with a smile, drop us a line at kristi@jaxkc.com. 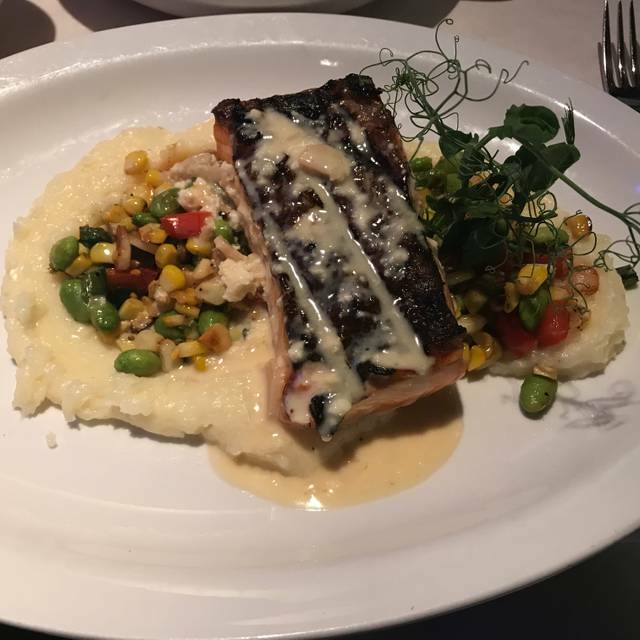 Praised as one of KC’s Best Restaurants by 435 Magazine, Jax serves up the finest and freshest the ocean has to offer to the masses that join us in our Hotel Sorella adjacent hotspot. Prepare yourself for the welcoming, yet wild vibe that has set JAX apart from all the rest. Due to dedicated sustainable seafood practices, Jax Fish House is proud to be the first restaurant in Missouri to be certified by the Monterey Bay Seafood Watch. 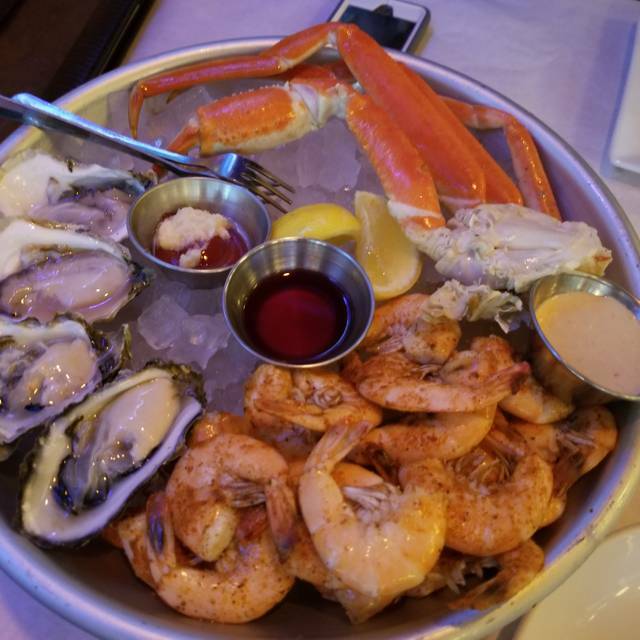 Seafood is delicious…let’s make it last forever. The best place to get casual, up-scale seafood in KC. The crab cakes are amazing, fantastic clam strips and, the specials are always excellent. We initially were only planning to eat brunch at Jax, but loved it so much we cancelled our dinner plans and returned for supper as well. Outstanding cocktails and seafood. My dinner companion had never eaten oysters before and the hot oyster appetizers were a perfect gateway for him to try them out! We'll definitely be back next time we're in KC! Service, food, and drinks were fantastic as always. I recommend this restaurant for a casual night out or more intimate affair with loved ones. It was a great night. Staff was friendly and helpful when we had questions, or needed someone to take our photo. Jax is always a great dining experience. Always love celebrating at Jax! Great food and service! We love Jax but have not been there in awhile. Sadly, we were a little disappointed this time. My fish was dry and had no flavor. My husband’s gumbo was underwhelming! Our service was excellent and perhaps it was just an off evening? It was our 30th Anniversary and they were amazing. We would recommend to our friends. Always wonderful food and service. Music seemed loud last few times we were there, which makes it hard for conversation. Crab cake was amazing with almost all crab meat. A good selection of fresh oysters. we had a new server who did pretty good. We had an exceptionally long wait time for our oysters which was approx over 20+minutes. And another, 15 minutes for drinks - which the server had an old menu that a manager had to come back to say the wine ordered was obsolete - which took another 10/15 minutes until it came to the table. The highlight was seeing Kevin the puffer fish in rare form, we were told! Great service food and pricing was doable. Food was pretty good but very pricey for what it was. I would pass on the beignets for deserts. Service was ok at best. Happy to ask if we needed fresh cocktails but everything else seemed a distant second. Took my son for what we thought would be a wonderful meal. We ordered one dozen oysters as appetizer. Just OK. Came out after we ate our salad ....not cool! Caesar salad was ok but served as whole chunk of Romaine. I’m not a fan of this. I had Halibut dinner special. My son ordered Ahi Tuna dinner. Fish preparations was good but not too seasoned. We both had sides that came with the entree that we felt were overwhelming for the dish. We both felt the food quality was poor in comparison to the $120 bill. No drinks just water! It should have been outstanding! We remain Bristol fans. Sorry Jax! A wonderful meal. We had an infant and the hostess quickly provided a stand for the car seat and securely stored our stroller. The waiter was extremely attentive without being intrusive. I do wish that the specials had been explained in a little more detail—not just the type of fish and the side dishes but also how the fish was prepared. Not sure our daughter would have ordered a whole fish. If not a filet it is good to explain that. Overall fantastic though. Just ask how fish is prepared if not obvious. Food was fantastic... cocktails were awful however, they were not balanced and not worth the price. Shrimp and grits were outstanding. Loved the peel and eat shrimp. Great seasoning. 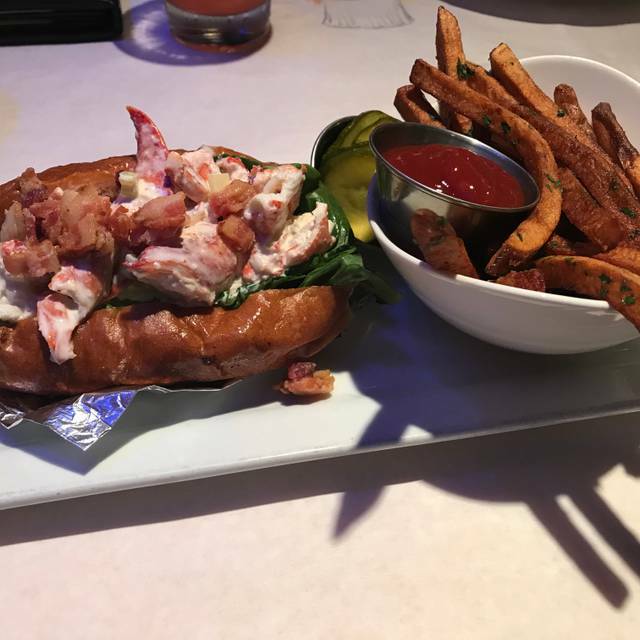 My wife and I went to Jax Friday evening and had a delightful experience. Even though Friday was a very busy time, the staff quickly solved a reservation mixup and worked together to make sure we were never waiting on drink or food service. By the way, the Emerson oysters are my favorites, a great beginning to the salmon and crab cake dinner. Keep up the great work. Timothy, our server, the manager & other staff were EXCEPTIONAL. We had a wonderful meal. Ambiance & noise level were out of their control due to a drug rep hosting more people than expected in the main dining room. Their video presentation was pretty loud, and the discussion of side effects was pretty unappetizing. We laughed about it. And, felt terrible for the staff having to work around it. It was my Birthday dinner and everything was fantastic! Oysters were delicious, curry mussels were amazing, but the buffalo and charbroiled are the most amazing items on the menu! Cenecia and her trainee Matthew were wonderful! Thank you for the perfect night! Food was very good, as always. Saturday night, busy but a bit noisy. We will be guests again the next time we are in town! This place was just okay. I could be back and I might not be. Food was amazing as always, service on point. Jax never disappoints and is my favorite place to get seafood in KC. Great happy hour drink and food specials. My fave is the sampler plate with crab legs, shrimp and oysters. Our first visit did not disappoint! Had Monday evening reservations and got sat early. 😊 We were pleasantly surprised to find out Monday night's are "all night" happy hour! Excellent service, great food, fun/hip vibe! We will be back for sure!!! The first issue was we were told our Open Table reservation couldn’t be found, but we were seated nevertheless. When we went to order the All you can Eat Crab Legs we were advised that was no longer an option. We were given the story behind that & it’s honorable Jax wants to do their part to save the Crabs. However as long as the option is available at other establishments we will patronize those. We proceeded to order drinks & my husband ordered the Bloody Mary special. . I explained I would have the same but really didn’t want the special of 3 but was told 2 would be the same price so I just went with it even though one would’ve been all I wanted. I didn’t see fried oysters on the menu so I asked about that. I was told that would be an extra charge of $2 each if they were fried. After a few other questions & suggestions from the server that didn’t appeal to us we both just decided on the fish & chips as a last resort. When our Bloody Marys came neither of us could drink them & even noticed a customer at the bar had the same response to one she had ordered. Afterward we were told they were made with cucumber Vodka which was a first for us & definitely not desirable. When my husband asked for 2 different brands of beer & was told those weren’t available either, we both just opted for iced tea. 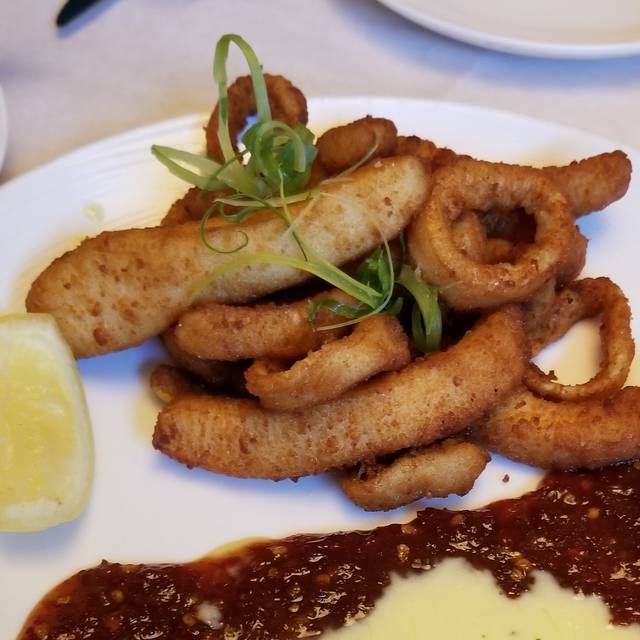 We ordered the Calamari as an appetizer & after it was brought out the server must have noticed my expression (as I had never seen calamari that looked like that) & she advised it was actually Cuttle fish but there were (2) Calamari as well. Yet another surprise after the fact. While management did offer us 2 complimentary Benoit’s we did not care for them so those were left as well. I completed the comment card & was called & advised the charge had been credited to my credit card which was not what I asked for it expected . We still would not return to this establishment. The overall experience was great, however we did read the brunch menu online that mentioned the free beignet, only to be told the menu online information needed to be updated...please update your information. We came for the first time for brunch. Excellent service and great food. This is the best seafood I’ve had in KC! Great place! We’ll definitely be back. Just excellent service and food. Music was cracking (awesome). The server was amazing and the food was exceptional! The ambiance was perfect for Fat Tuesday. I’ll be coming back! 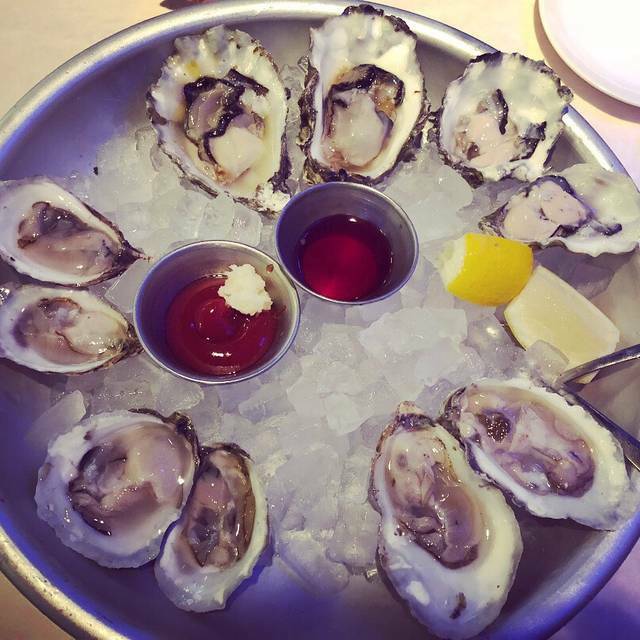 The oysters were phenomenal and the waiter helped us find exactly what we were looking for. The drinks were delish! We LOVE going to spend time at Jax! We always feel so comfortable and know the service, food, and drinks will be perfect from the time we walk in the door until we leave. My husband and I have declared Jax as our go-to for our anniversaries as well as our pre-concert restaurant. Monk was our server and he treated us so kindly and was extremely knowledgeable with all he offered. We got the special along with a few other dishes and were so pleased with everything. The oysters, calamari, butternut squash & crab soup, and bouillabaisse were phenomenal!! We are already planning our next trip to Jax! We found the service to be outstanding! We had a great evening. 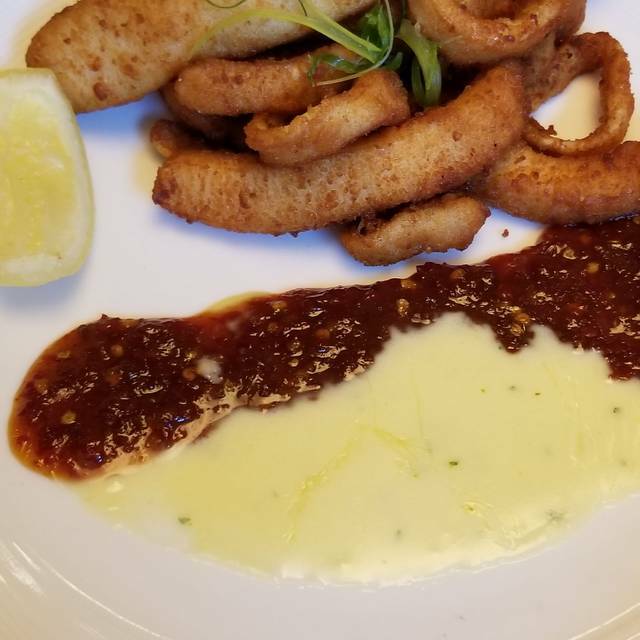 My wife and I went to Jax Fish House for our 24th anniversary, we had spent the last 10 years living in the south and was looking for a good seafood restaurant. 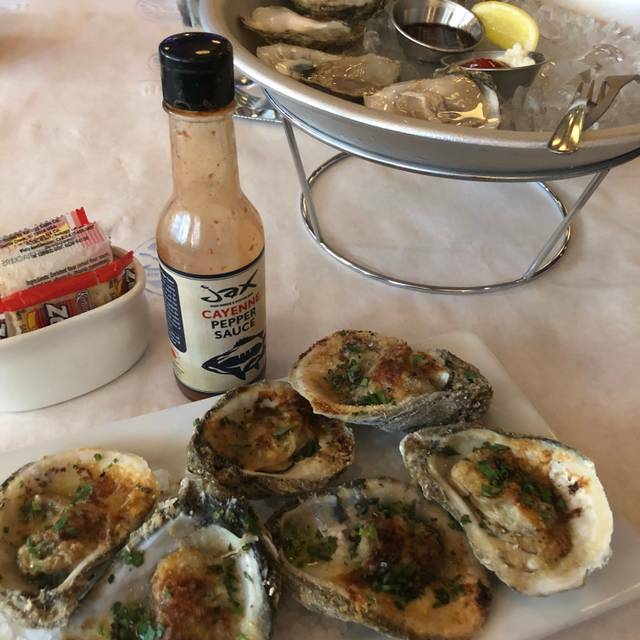 For one of our appetizer we order 6 of the charbroiled Oysters @ $3.00 a piece they were very small (between a penny to nickel in size). 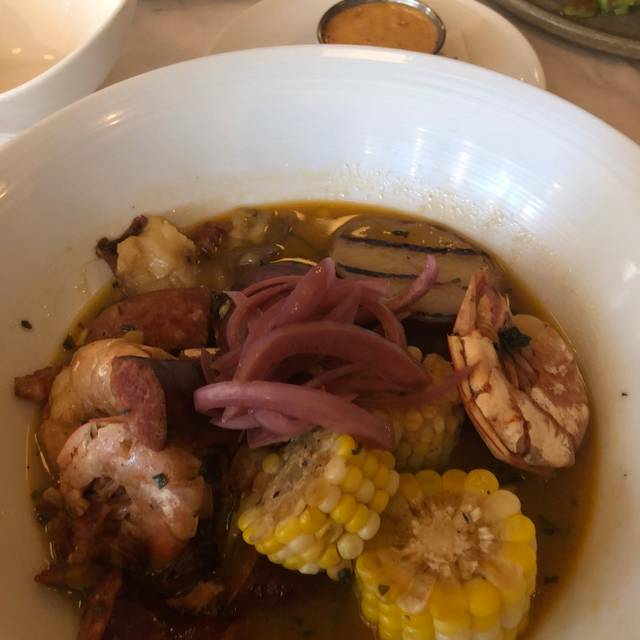 There were a lot of little things, from the oyster’s size, claims being chewy, pasta being tough, hushpuppies being blah, that made the experiences unenjoyable. Very over priced for the quality of the food. Best seafood in the Midwest... Hands down. And best gumbo!